Email me on info@aubergine-designs.co.uk if you'd like something similar. Free Shipping! First Class Signed for. 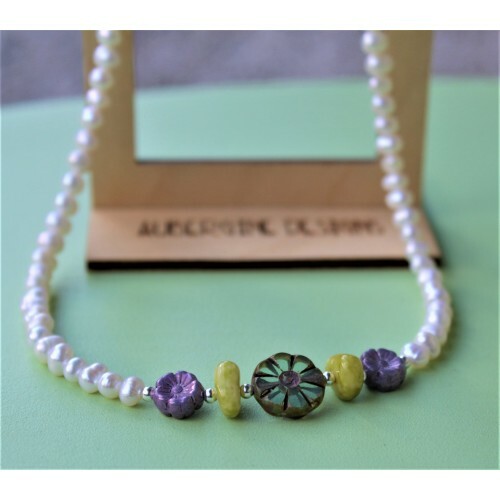 This pretty necklace comprises small 4mm freshwater pearls with a focal Czech Glass combination at the front of the piece in Teal lemon and lavender. Check out the matching earrings and bracelet . Email me if you'd like something similar! info@aubergine-designs.co.uk Lovely earrings compris.. 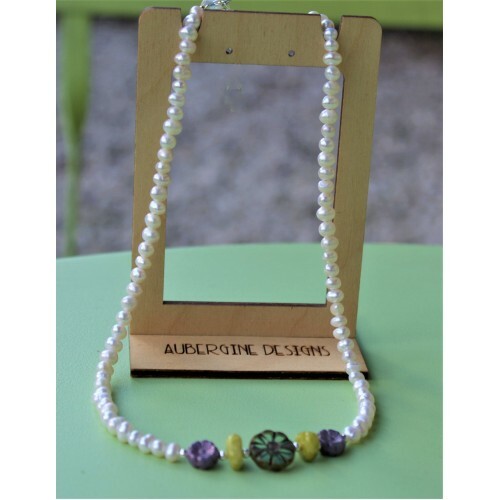 Tags: freshwater, pearl, and, lavender, , teal, lemon, czech, glass, necklace, sterling, silver, new, items, stock! sold!